Even the head of MoviePass is a critic. MoviePass CEO Mitch Lowe is acknowledging in the face of criticism over the number of movies customers can see as part of a new subscription plan that his company missed the mark in creating a sustainable business model. But he now insists that they’re on the right track to securing a degree of financial security. When Lowe invested in MoviePass in 2016, he wanted to know why some people went to see a movie in theaters so infrequently. At the time, the service charged between $35 and $40 monthly to see one movie per day. Lowe deemed it a “high-end service” that catered to frequent moviegoers, what the Motion Picture Association of America calls those who view one or more movies per month. Lowe, who would become CEO that same year, spent about 18 months researching industry trends and concluded that millennials would go to the theater for a major blockbuster but otherwise waited for movies to be available on streaming services. They didn’t like the risk of paying for a movie they might not like and having to leave the house to do so, Lowe said. So, the company launched a $9.95 monthly subscription plan that enabled users to see one movie per day. However, frequent moviegoers used the service so often that the company quickly lost money, Lowe said. Now, under a new plan, MoviePass subscribers can see three movies per month for the same monthly fee, preventing frequent users from draining the company’s cash flow. Customers wanting to see more than three movies a month will receive discounts on additional tickets while millennials might not view selecting a movie to see as a risk, Lowe said. Two business experts said MoviePass’s initial business model wasn’t sustainable. Lowe said the same. MoviePass only receives discounts on 10 percent of tickets it purchases, Lowe said. As a result, the company often finds itself paying full ticket prices. Movie tickets averaged more than $9 in the first four months of 2018, according to the National Association of Theater Owners. However, in major cities like New York and Los Angeles, movie ticket prices can surpass $15, forcing MoviePass to take a loss on the first movie a subscriber sees. Now, in an attempt to become profitable, MoviePass is anticipating users won’t see all three possible films each month. Under the old plan, 15 percent of users saw four or more movies per month, draining the company’s resources. Financial problems have plagued MoviePass this summer. Its parent company, Helios and Matheson, received a loan worth more than $6 million after MoviePass temporarily ran out of cash. Lowe said the loan was the result of investors wanting the company to limit its losses at a quicker rate, causing movie vendors to be concerned about payments. Nonetheless, frustrated customers complained about the outage on social media, claiming it prevented them from checking-in. Then, the company announced its plans to increase its monthly fee to $14.95 and prevent subscribers from using the service to see major releases the first two weeks they’re in theaters. However, MoviePass, which has more than 3 million subscribers, walked-back the proposed price hike. Instead, the company aims to increase its revenue by selling ad space, creating brand partnerships with services like Uber and Lyft, hotels and restaurants and partnering with studios to promote specific movies. Under the new plan, scheduled to go into effect Aug. 15, customers with a desire to see more than three movies each month will receive a discount between $2 and $5, Lowe said. Still, MoviePass is counting on the majority of subscribers not seeing three movies each month. Theaters themselves, most recently AMC, have created comparable subscription programs. 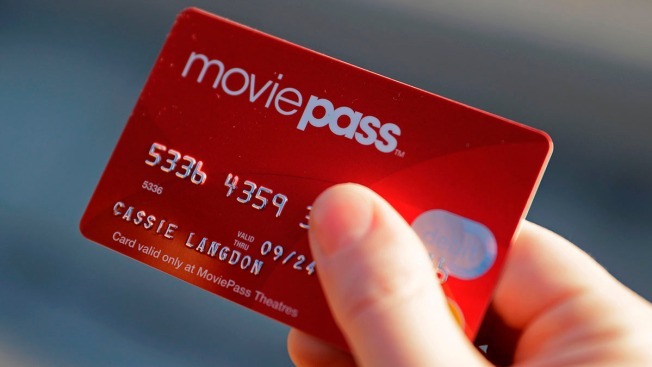 But with his new plan set to debut next week, Lowe isn’t concerned and said the latest model should make MoviePass a more sustainable business.